1. Baby Bodysuits: The first article of clothing that I put on my daughter was a bodysuit. She still wears them almost every day and sleeps in them most nights. They are great to layer in cold weather and to wear alone when it’s hot outside. You really can’t have enough bodysuits and buy big so baby can grow into them. If you are putting them under clothes and pajamas, who cares if they are too big. Leveret bodysuits are reasonably priced and work well for layering. Carters bodysuits fit my child the best and I love the quality, but they are a bit more expensive. 2. Humidifier: Since my daughter is in daycare, she is sick a lot. You can’t give babies and toddlers cold medicine, so you have to go the natural route for relief. Running a humidifier really helps baby to breathe easier, so both she and you can get some sleep. 3. A Diaper Bag That Fits Your Individual Needs: Buy a quality bag that you can live with because you will be using it for a while. Most kids will be in diapers past two years of age. There are many types, styles, and sizes. Some of my friends bought designer bags, some friends bought tote type bags, some friends bought business looking bags. I chose this fabulous Okkatots Diaper Bookbag. I love this book bag because there are so many compartments for organization, it is roomy, and I don’t have to worry about straps sliding down since it’s a book bag. Win, win, win. And did I mention that it has a little diaper changing station? Love it. 4. Books (Fuzzy Bee and Friends): My daughter has loved looking at books since the first few weeks of her life. 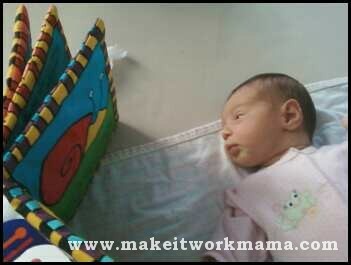 She was captivated by the bright colors in Fuzzy Bee as a newborn. As she got older, she liked to feel the different textures. Now that she is a toddler, she likes me to read the words to her and she describes the characters to me. 5. A Nightlight: I have used a nightlight in my daughter’s room since the day I brought her home. I never had the desire to navigate a darkened nursery while trying to change my daughter’s diaper in the middle of the night and I certainly never used the overhead light because I would never be able to get the baby back to sleep. A nightlight provides enough light for me to get around the room and do what I need to do, but not so much light that it fully wakes the baby. 6. Food Processor: I made my baby food so this was necessary for me. Even now that my toddler is eating regular table food, she still enjoys puréed food mixed with her oatmeal or smoothies. 7. Wearable Blankets: I love the Halo SleepSack Wearable Blanket. Since we are told not to put blankets in the crib, these sacks have been essential in my cold climate. The other great thing about the sacks is that the baby is confined inside the blanket. It can’t be kicked off and it prevents baby from climbing out of the crib. I buy these very big so my daughter can wear them for a long time. 8. A Play Yard: I have gotten so much use out of my Pack N’ Play. I used this from the day I arrived home from the hospital until I moved my daughter to her crib at eight months old. I still use it as a bed for my daughter when we stay with my family or when we go on vacation. 9. Diapers/Wipes/Cream: Since babies are in diapers for so long, obviously diapering items will be used for years. If cloth diapering, get something that can grow as baby grows. Buy a big tub of diaper rash cream because you are in this diapering thing for the long run. If you don’t want to buy wipes, you can always easily make them. 10. 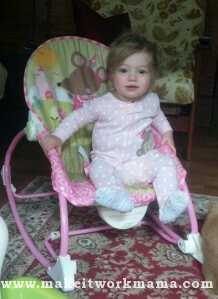 A Convertible Baby/Toddler Seat: I had a bouncer seat that was great, but my daughter quickly outgrew it. I also bought the Fisher Price Infant-to-Toddler Rocker and I have gotten so much use out of it. She would sleep and play in it as a newborn and immobile baby. Once she started crawling and walking I couldn’t’ confine her in it anymore and I had to retire it for a few months. Once she became steady on her feet, she started using it again. In fact, she sits in it while she watches cartoons. 11. Aden + Anais Swaddle Blankets: These muslin blankets are huge compared to the other swaddling blankets I received. I initially used them to swaddle my daughter. I was also able to use these blankets to cover her car seat or stroller from the sun. Now I use this as a blanket for my daughter. 12. 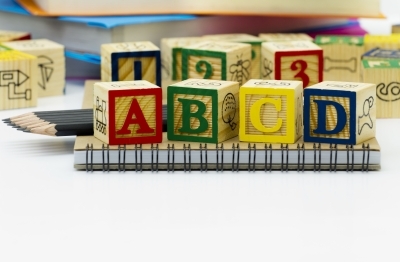 Blocks: My daughter always loved looking at bright-colored blocks. As she grew older, she liked to hold them. Now she enjoys stacking and demolishing her blocks. I love the Fisher Price Peek-A-Blocks because I can tell stories to my daughter using the little items in the blocks. 13. Sophie the Giraffe: My daughter liked to look at Sophie when she was really young, then she used Sophie as a teether, and now she plays with Sophie. 14. A Goofy Video That Plays Silly Kid Songs: Kid Songs: A Day at Old MacDonald’s Farm DVD is my favorite. I loved this video when I was a kid and my daughter loves this video now. This video keeps my daughter entertained for a couple of minutes if I need to make dinner or use the bathroom. 15. A Snot Sucker: I love the BabyComfyNose Nasal Aspirator. It works and you don’t have to buy replacement filters. I highly recommend all of these items since they made my life a wee bit easier and I’ve had them around for almost two years! This entry was posted in Products and tagged Baby Products, Baby Registry, Essential Baby Items, Toddler Products by Candid Mama. Bookmark the permalink. I know a couple of people with Sophie the Giraffe. I need to get one of those if I have another kid. I think it’s adorable. And that’s funny that you call it a snot sucker. I call it a booger ball! Either way–hooray for alliteration! Booger ball! I love it! I put Sophie in my daughter’s crib each night, along with some books. Every morning, I hear her in there squeaking Sophie. It’s a cute little toy. AWh. How sweet! I bet she loves to wake up with her! So much nicer to hear that than crying, I’d imagine. It is. I’ll take toddler talk over crying any morning. Awwww I so remember when. All my kids are grown now having babies of their own, but I have to tell you I miss my babies so much. Take advantage of every single minute while their still little. Thanks! I am really trying to cherish every minute…although sometimes my independent toddler makes it hard for me. I love my fisher price seat too! It was great to be able to put her down and know she was safe. I liked the toy bar that attached to it too, so when she got interested in toys it would keep her occupied for a long time! It was the only way I could take a shower when my daughter was really young.